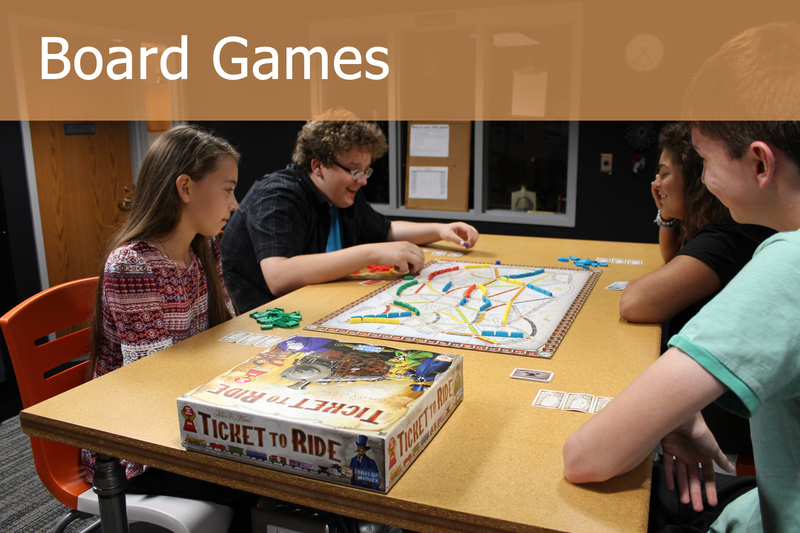 Thanks to generous community sponsors, TeenHQ is able to offer hands-on resources that build critical thinking and problem solving skills and encourage imagination. Our kits allow teens to explore STEAM (science, technology, enginerring, art, and math) concepts that build crucial life skills. Each kit comes in a box with instructions, but teens are encouraged to go-beyond the directions to create new and exciting materials. Be sure to checkout our interactive walls (Lego, Lightbright, and Magnetic Marble Run) which are available to teens during all library hours. What Maker kits do we have? Artastic - Sketch, draw, and doodle with our provided paper and pencils. Bracelets - Create bracelets with embroidery thread and beads. Circuit Scribe - Build circuits using a conductive pen, magnetic modules, and plain old paper! CreoPop 3D Pens - Draw 3D objects with ease with our CreoPop pen that uses photoplymers instead of hot plastic. Cubelets - Learn coding, robotics, and design thining with fun magnetic smart cubes. Dominos - Become a domino builder by creating your own design and watching them fall. Embroidery - Learn the technique of embroidery - decorating fabric with needle and thread. Hue Animation Studio - Create your own stop-motion animation films withour camera and software. Keva Contraptions - Build architectural designs with a wow factor with our Keva plank sets. K'Nex - Build, design, and play with our K'Nex set. Knitting & Crocheting - Discover a new hobby with yarn, knitting needles, and crochet hooks. Little Bits - Create inventions large or small with magnitic, electronic building blocks. Makey Makey - An invention kit that turns everyday objects into touchpads when combined with the internet. 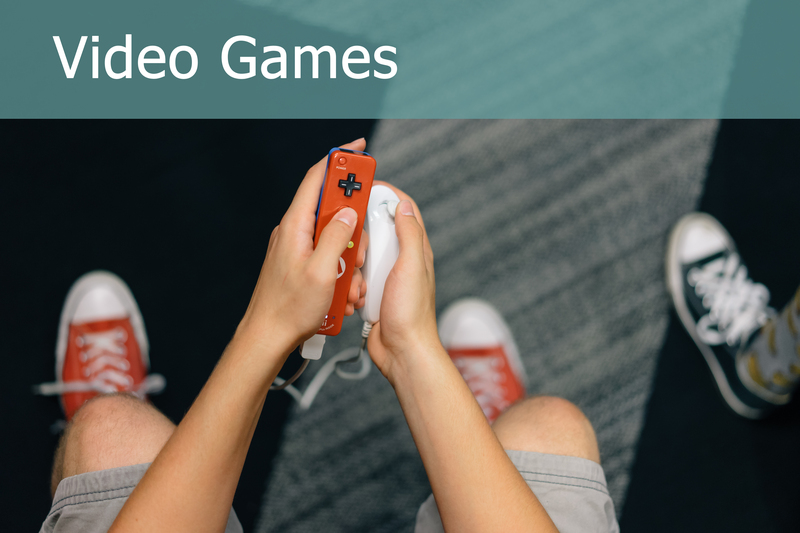 Ozobot - Small, smart robots that empower gamers and learners to code, play, and connect the physical and digital world. Q-Ba Maze - A unique system of colorful cubes that interlock to form a marble run. RoboLink Rokit Smart - Learn to build and program your own robot. Snaptricity Snap Circuits - Experiment with circuits with Snaptricity's easy modules. Tech Crafts - Build your own artisitc masterpiece with old computer parts. Who can explore with our maker kits at the hangout? 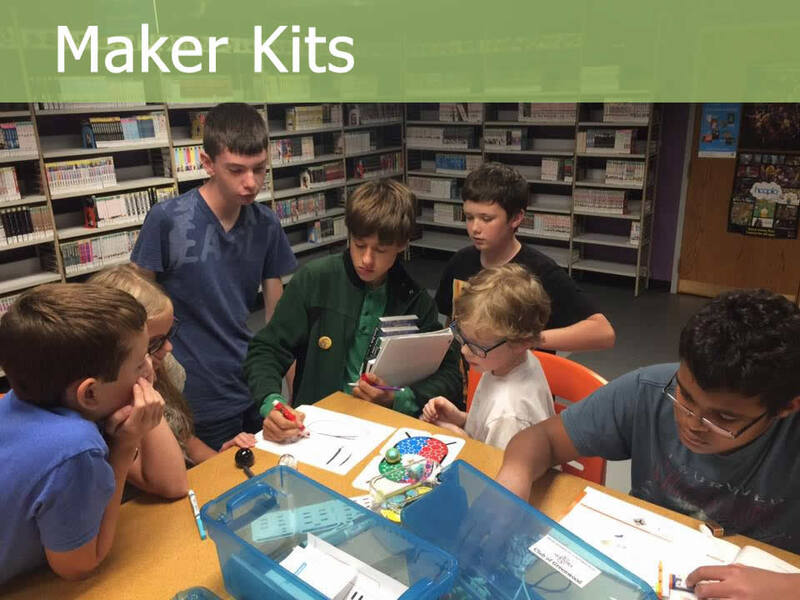 Maker Kits are available in TeenHQ during The Hangout hours and are reserved for library patrons between the ages of 11 and 18 (grades 6-12). Please let the Teen Librarian know that you are interested in a kit, and she will sign it out to you. Teens are responsible for returning all kits to the Reference Desk before they leave.